New for 2017 Clearly Blue! 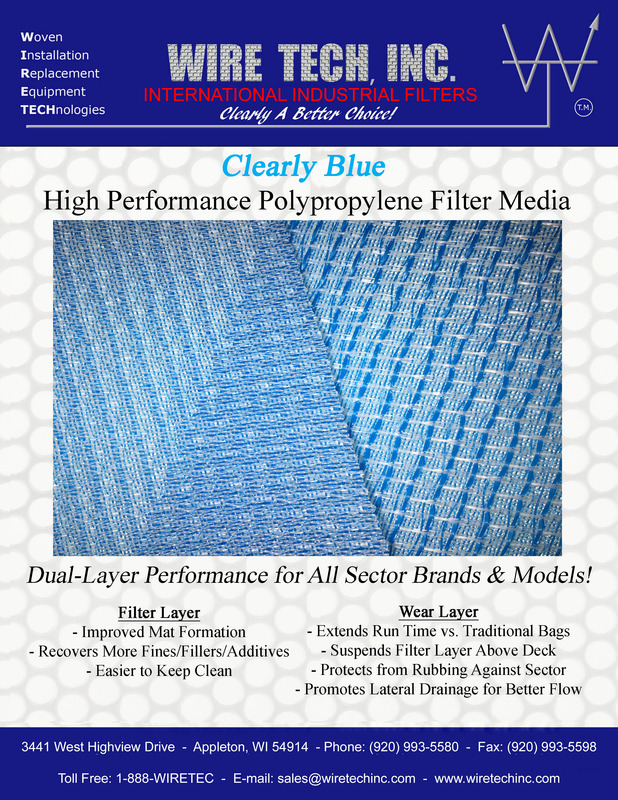 New, dual layered material gives a new level of performance in filter bags, with superior lateral drainage and wear resistance. Our Cut & Sew division manufactures all of our world class filter bags in house, custom fit for your filter with a specific pattern made for you. Filter sectors vary from machine to machine even within the same size and our custom fit bags will help minimize shrink time. Triple stitched seams with Kynar thread and zipper to ensure lasting performance.